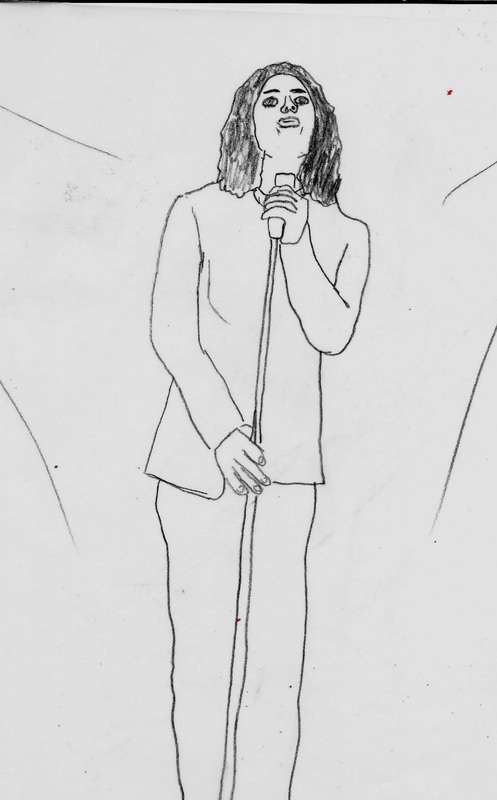 Maybe it's obvious, but I modeled this on a photo of Jim Morrison. I wasn't able to get my singer to have that same quality of cool, but hey I'm not a magician. Need to work on lips, still having a hard time with them. Think I'll stop doing quick sketches soon and maybe start spending a little more time. I don't know though, because time is something I don't seem to have a lot of these days.